What’s going on at Naples CSD? The 2017 Capital Improvement Project is underway! 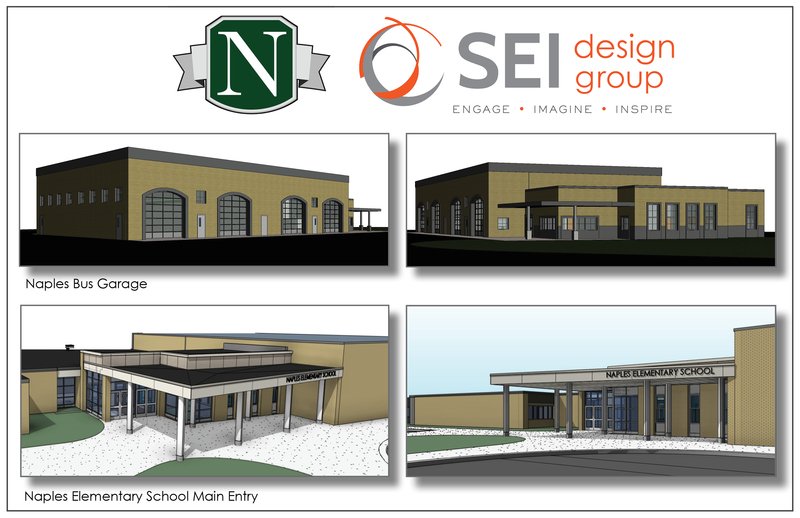 The project addresses several long overdue improvements: constructing a new Bus Maintenance Garage, and constructing a new Main Entry Vestibule at the Elementary School. These upgrades will improve and increase the safety and security of building occupants. Construction began in the Fall of 2018, and will continue through the end of 2019. Foundations are in, steel is coming, and masonry has begun! Keep an eye out for construction photos in the months ahead!